Here is a vintage 34mm. 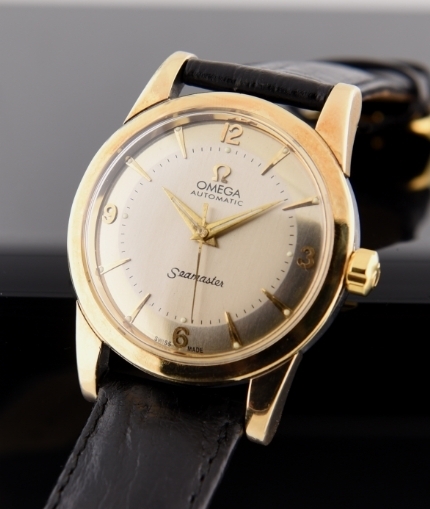 gold capped over steel OMEGA SEAMASTER having an OMEGA signed crystal and correct OMEGA winding crown. The silver dial was expertly restored, while maintaining the original raised gold toned Arabic numerals, arrow markers and dauphine hands. 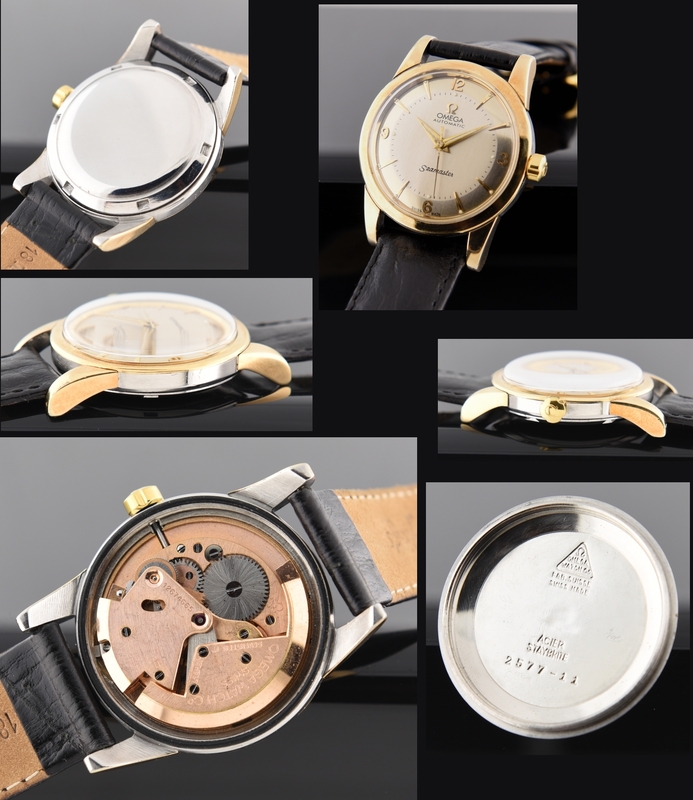 The caliber 354 automatic winding movement was just cleaned and is accurately keeping time.